I followed the instructions on the video by KF5JIM. The phones can call each other and the phones ring BUT you can't talk. I get a hangup. Here is a portion of the Asterisk log with the error. Any idea how I can correct this? I read the wiki page but I'm not sure what I should do next. 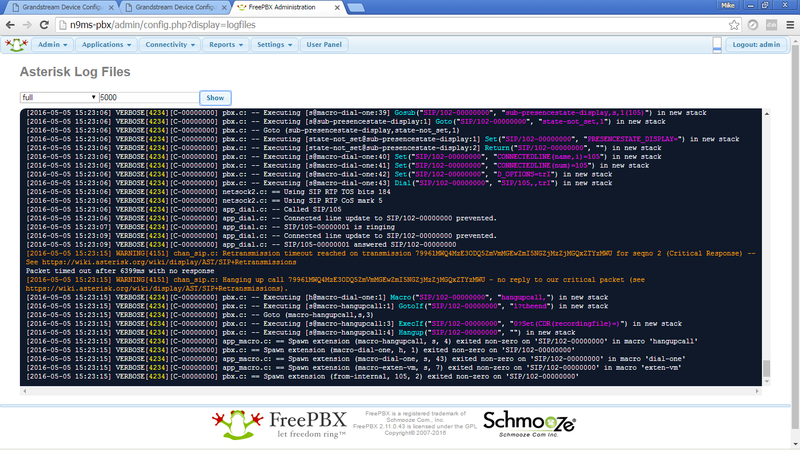 I forgot to mention that FreePBX was working great on my home network. The phones stopped talking to each other when I connected to the Mesh network. I figured it out -- actually I found a similar problem on Stack Exchange and there was an answer to a similar problem and that fixed my problem. Well that is wrong for the Mesh but my file contained absolutely nothing -- it was blank. I then rebooted the system and now it WORKS!! I'm getting voice over my Raspberry PI/FreePBX system! !